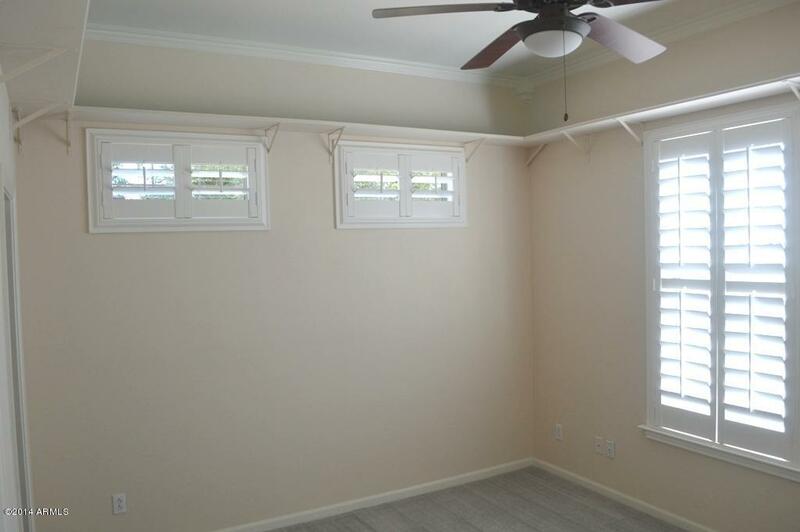 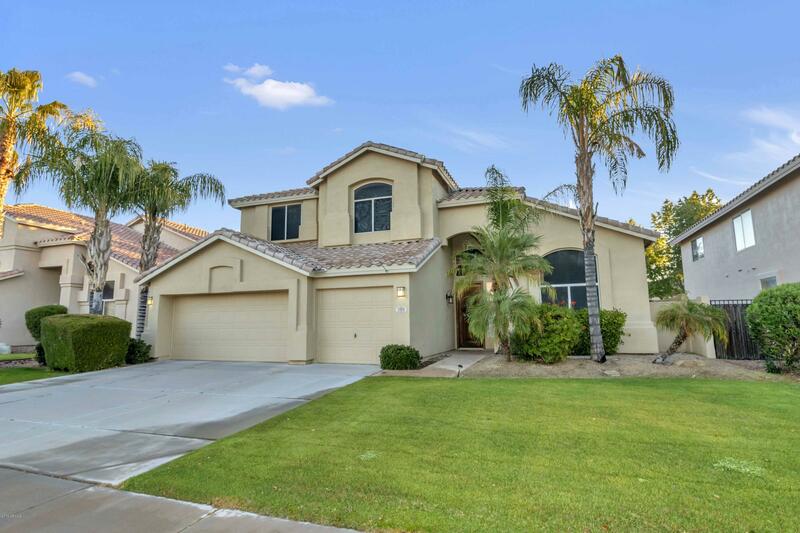 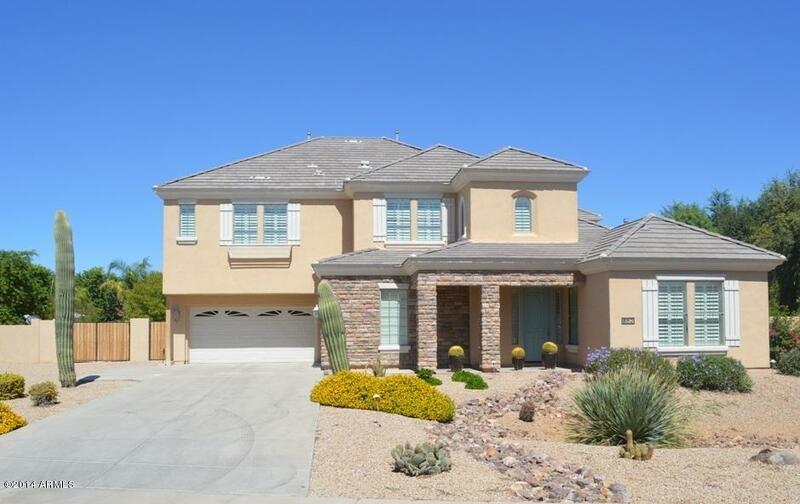 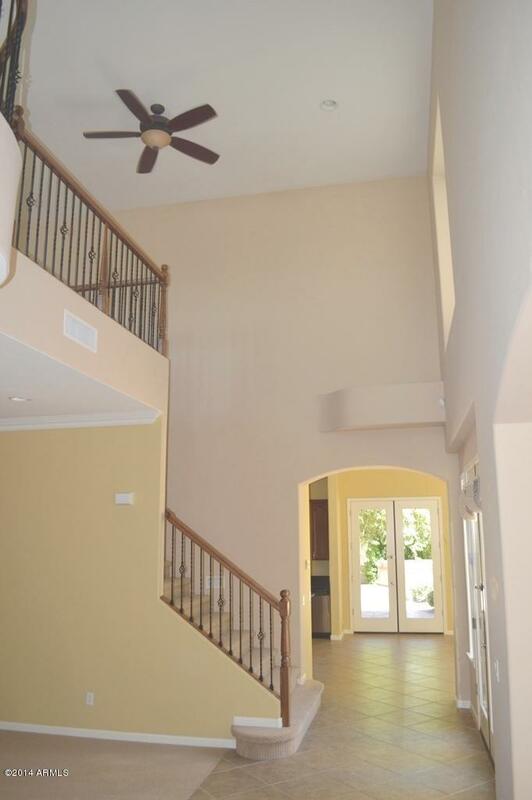 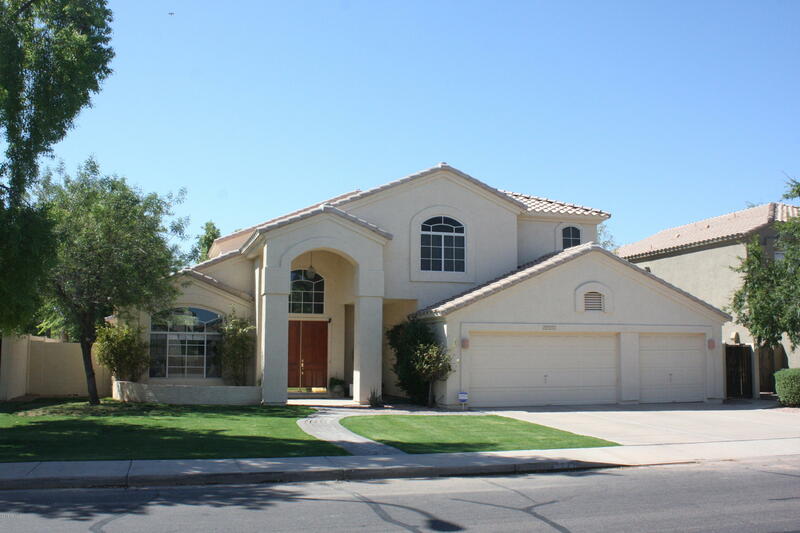 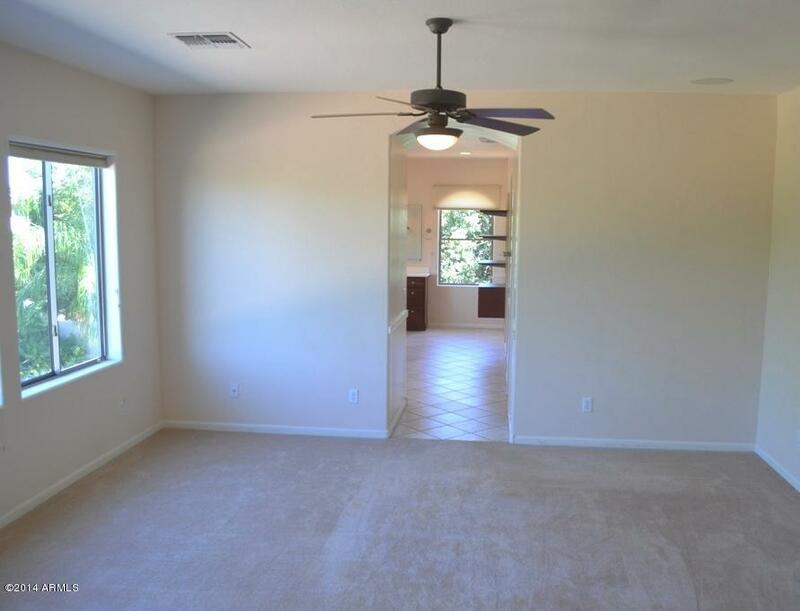 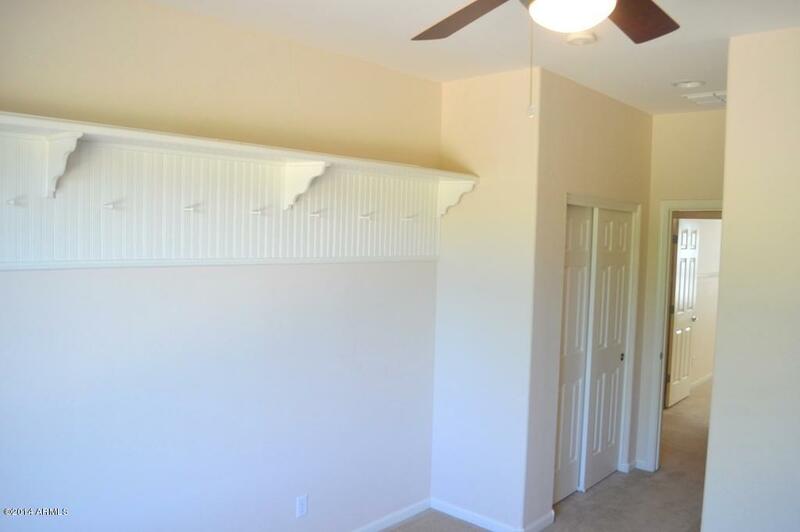 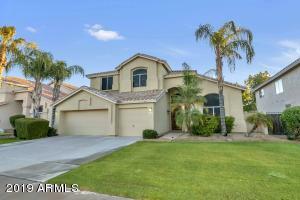 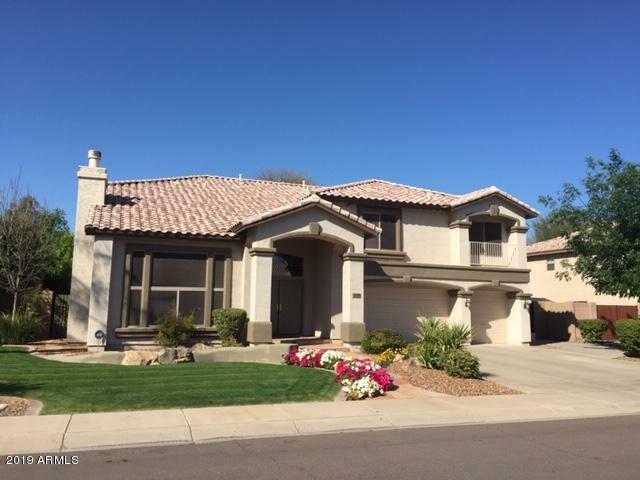 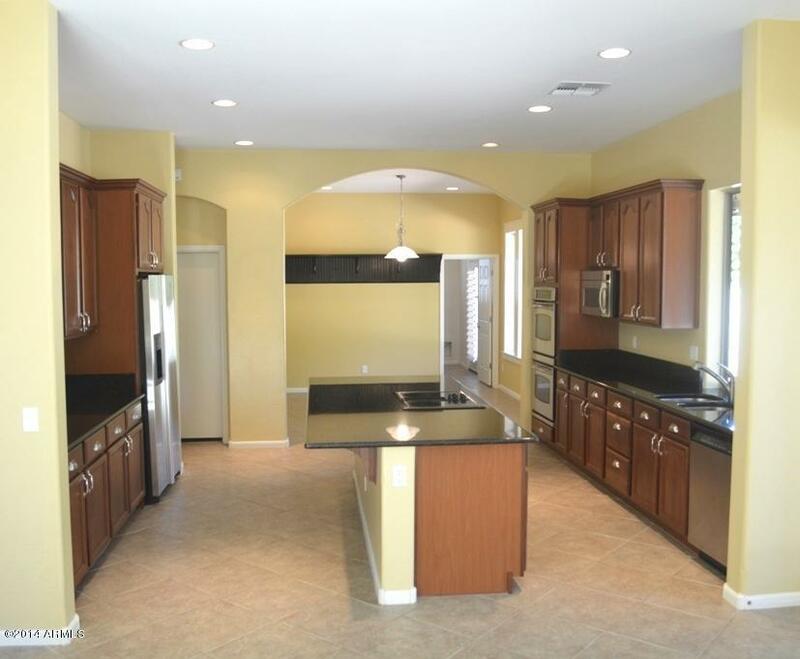 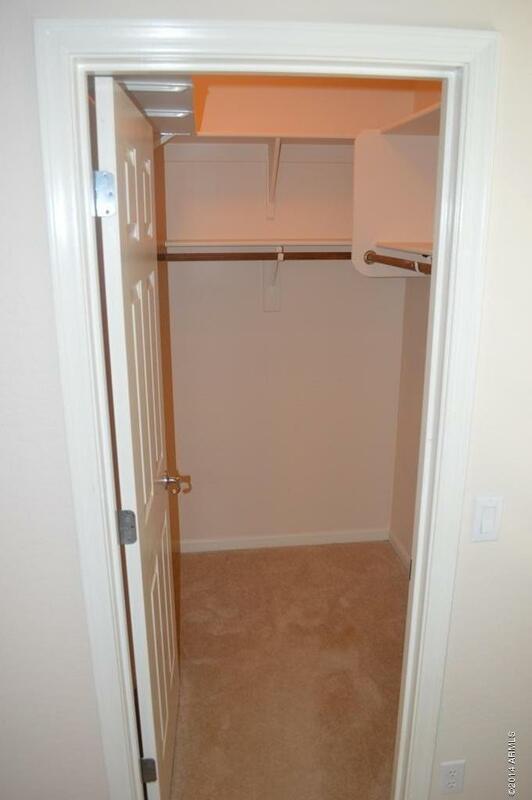 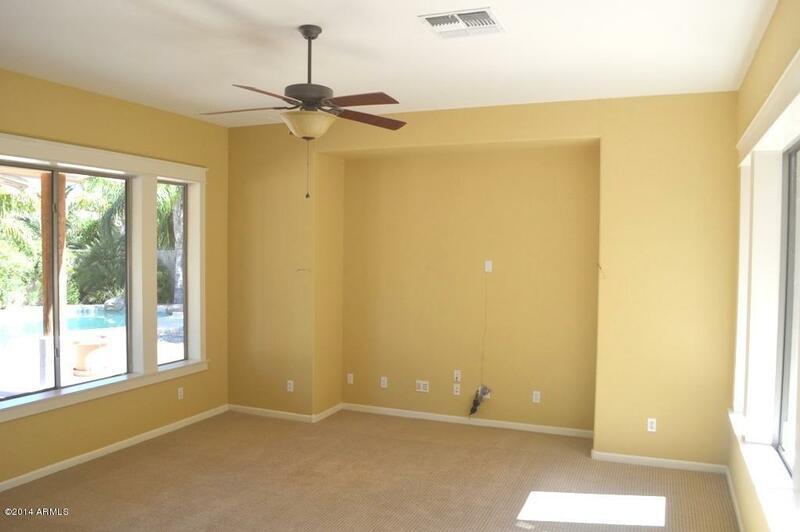 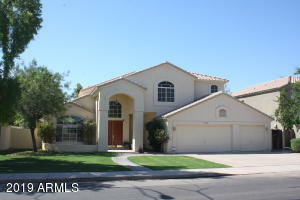 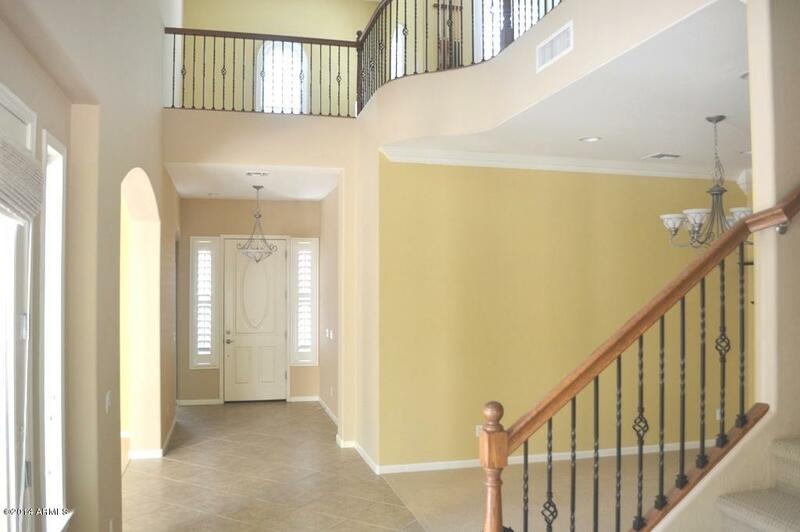 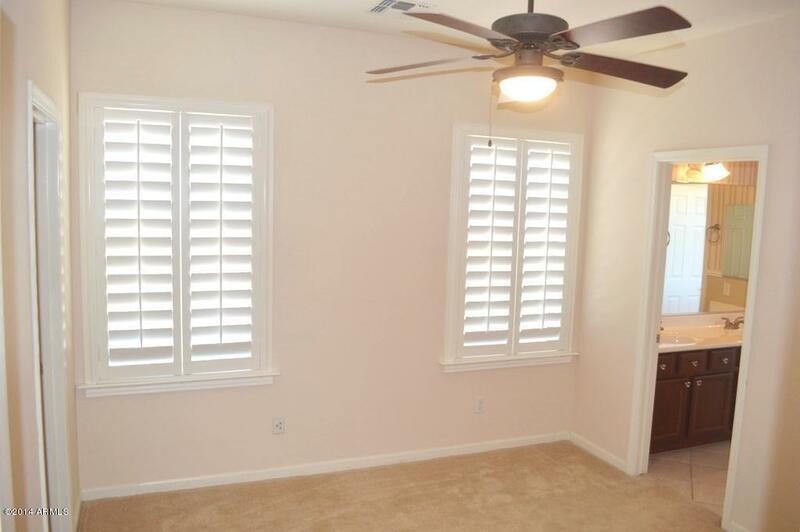 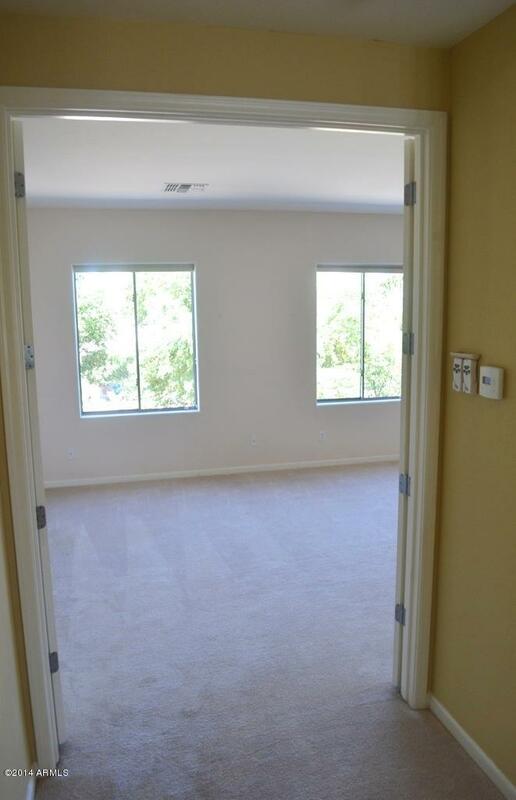 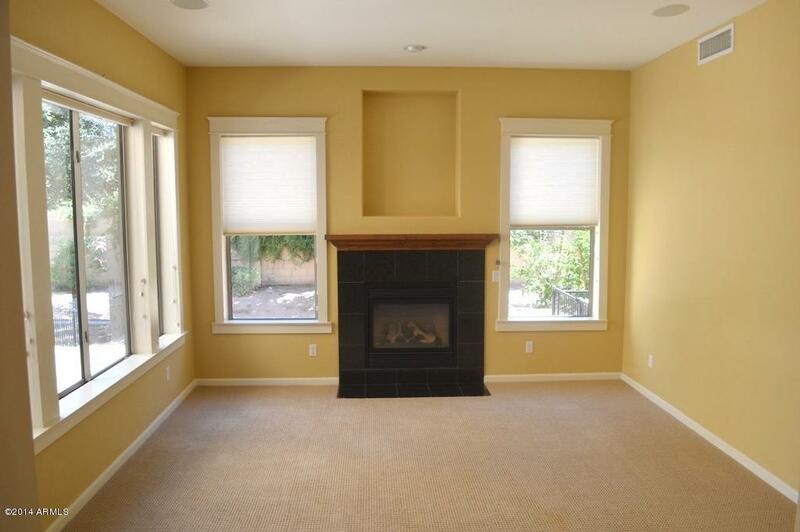 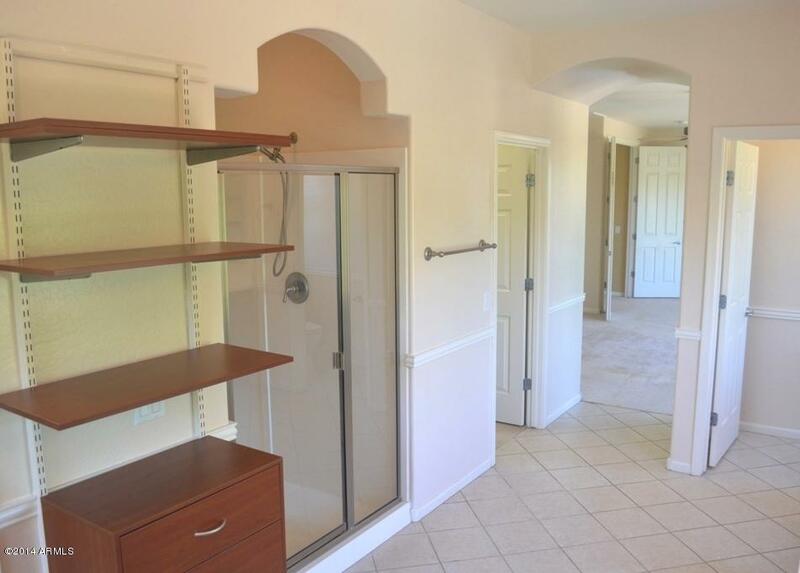 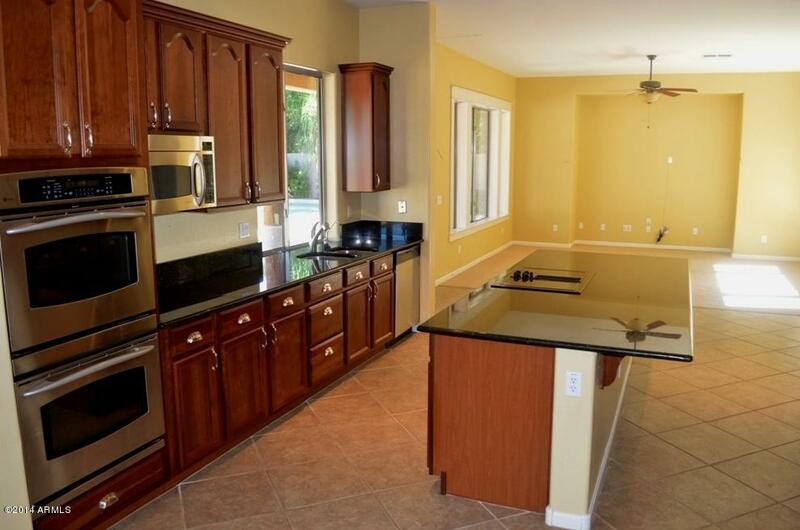 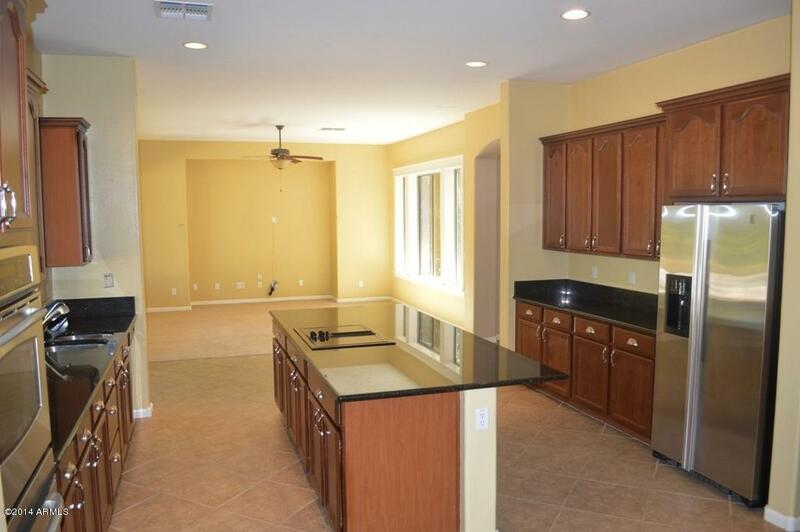 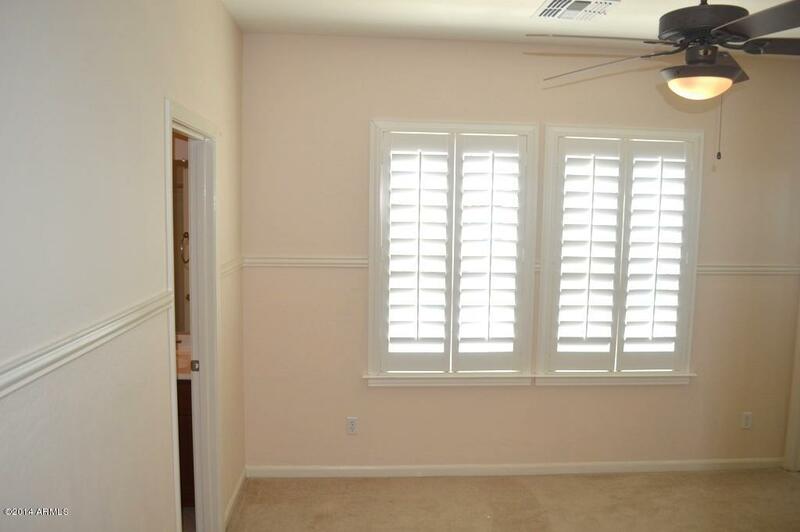 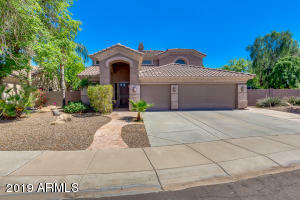 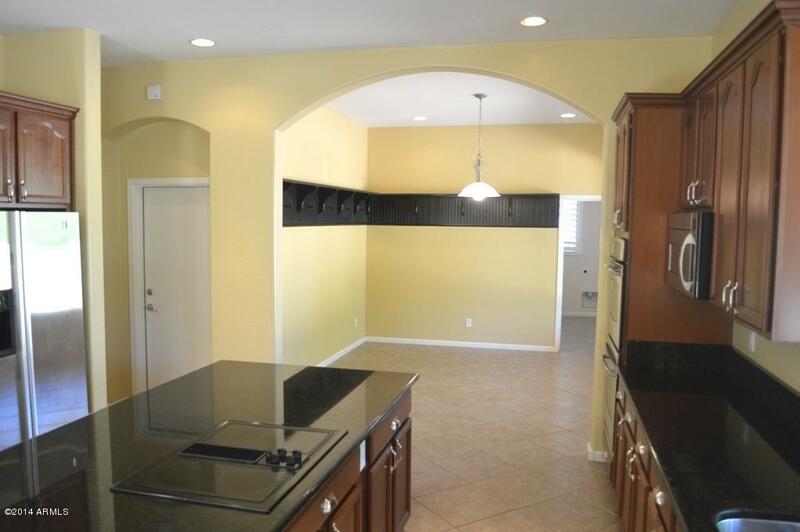 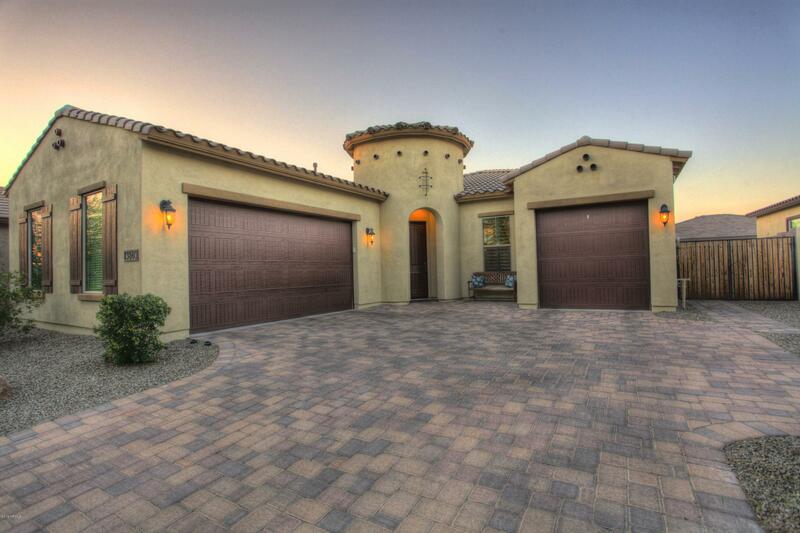 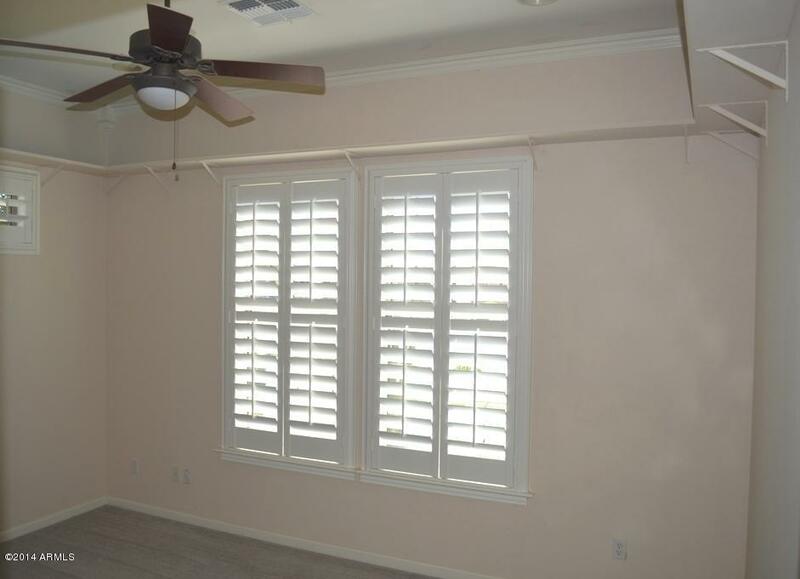 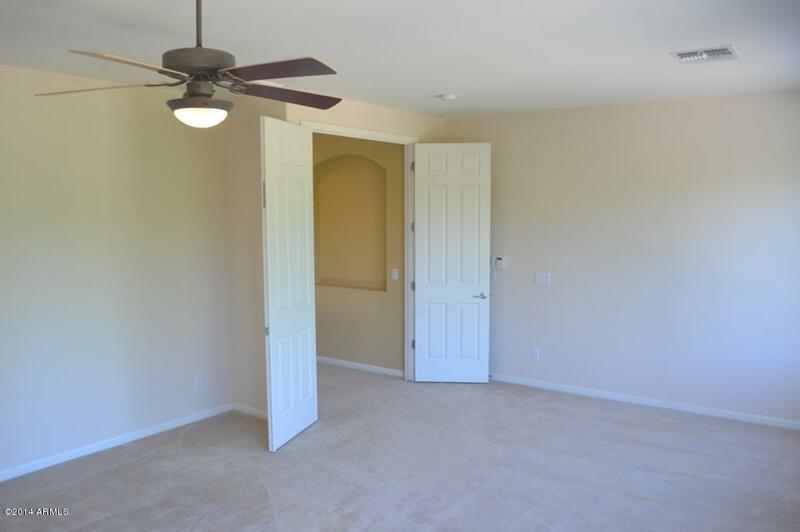 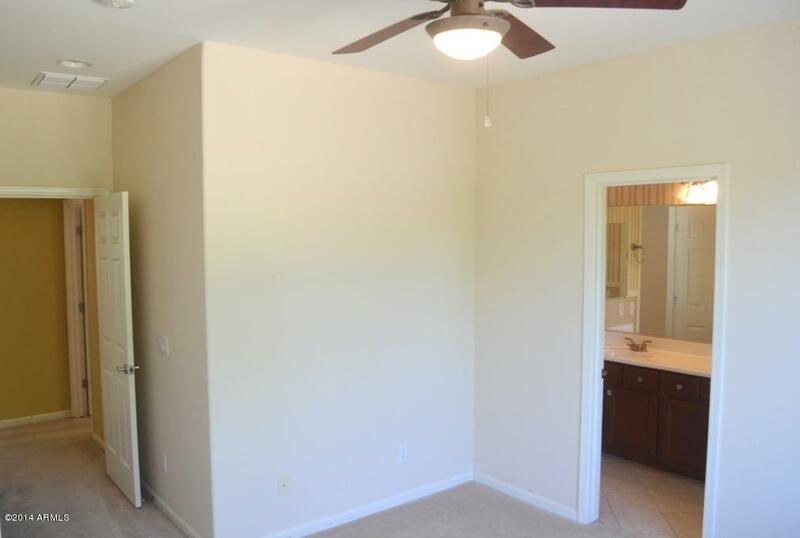 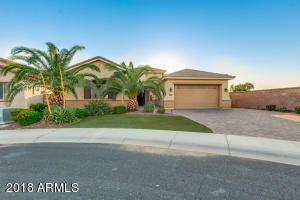 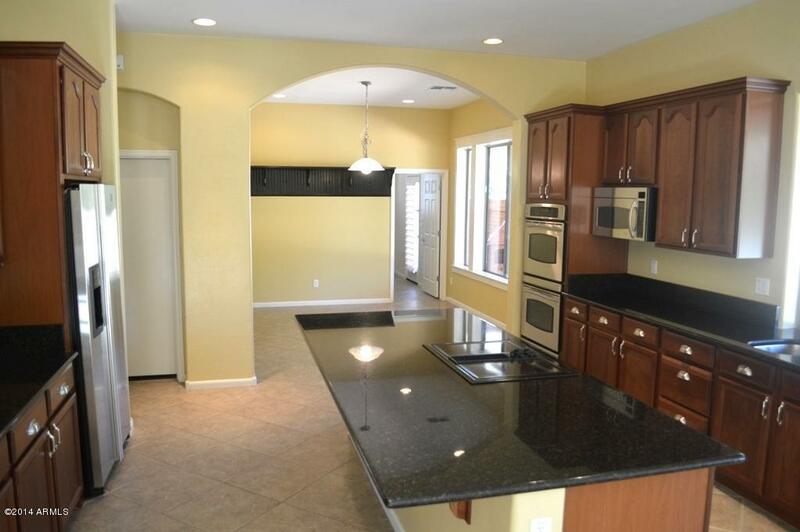 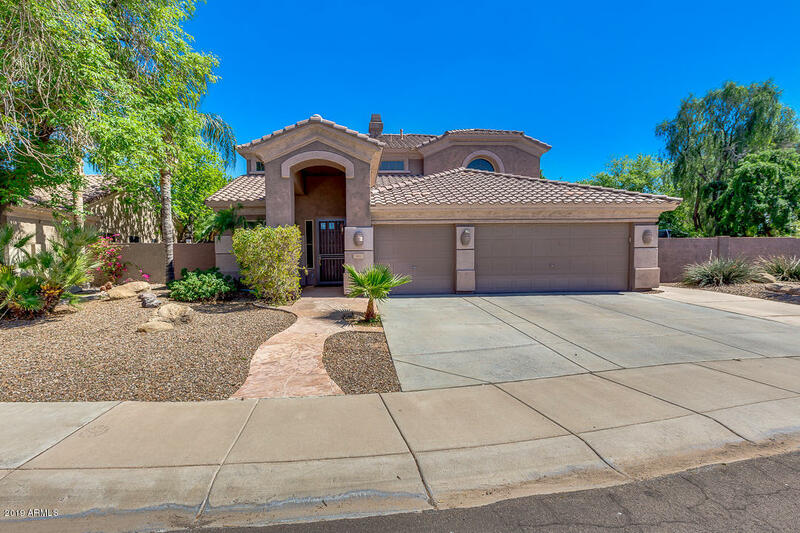 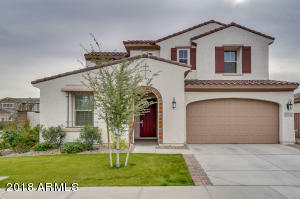 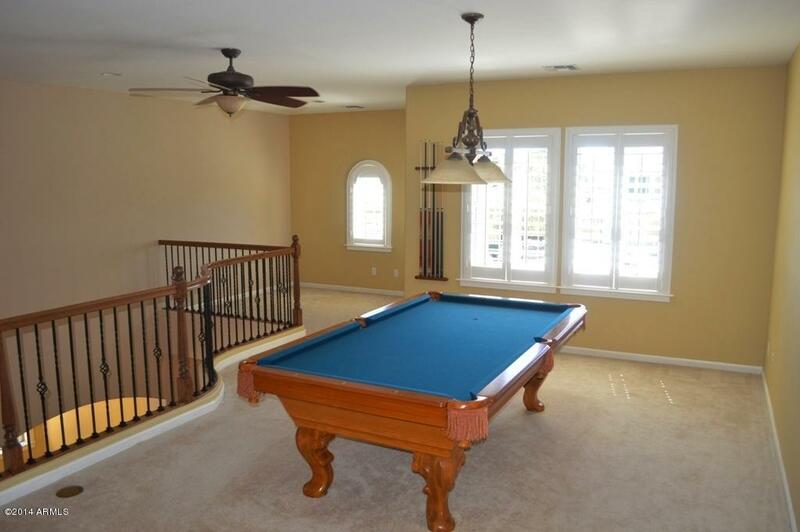 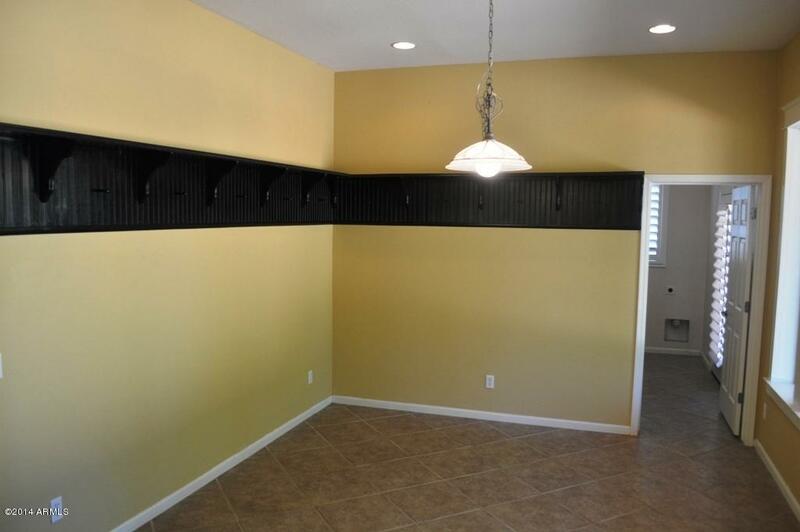 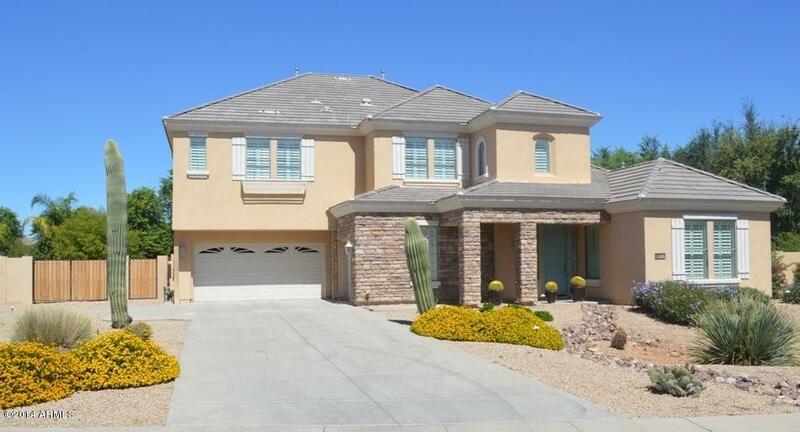 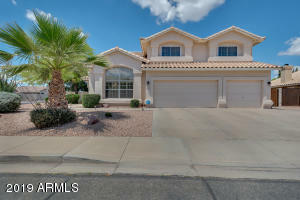 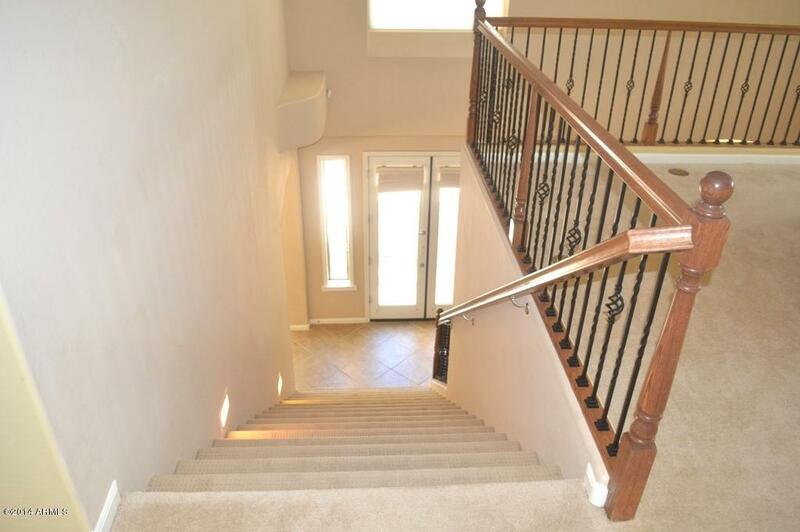 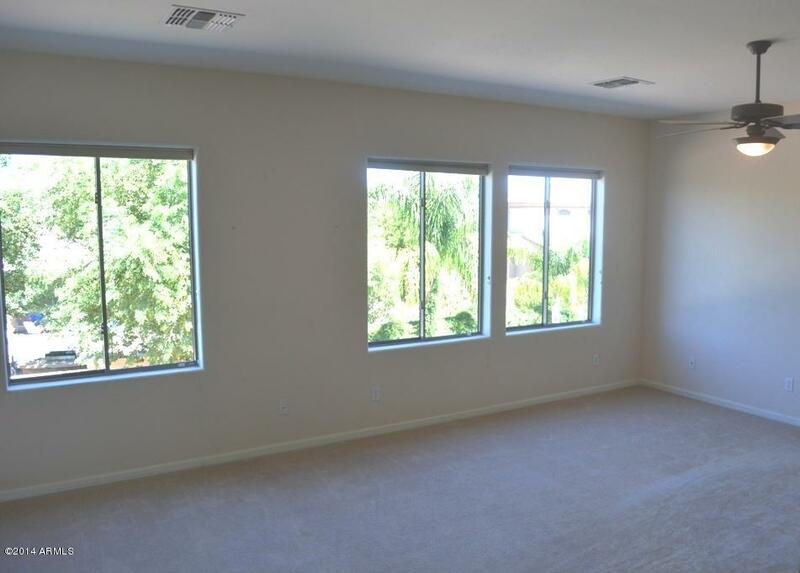 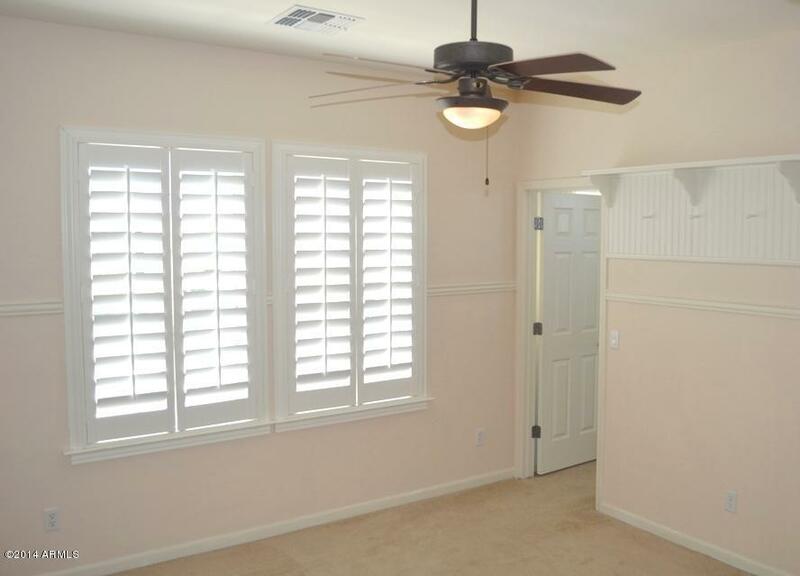 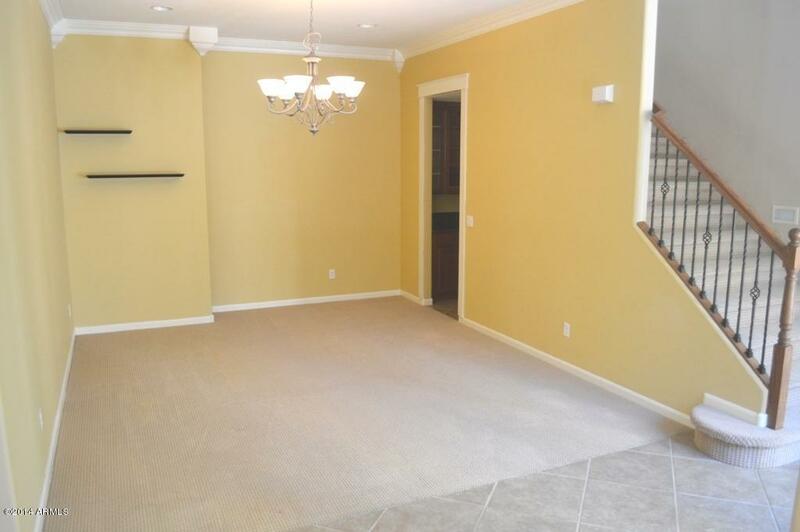 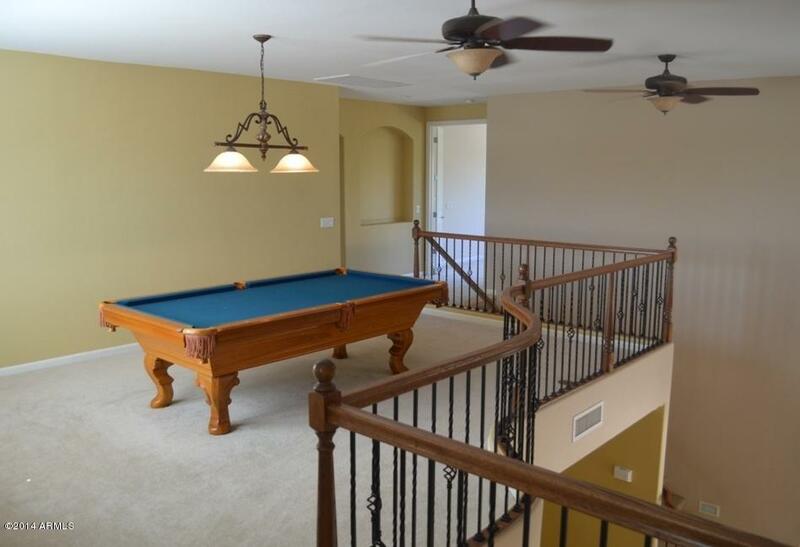 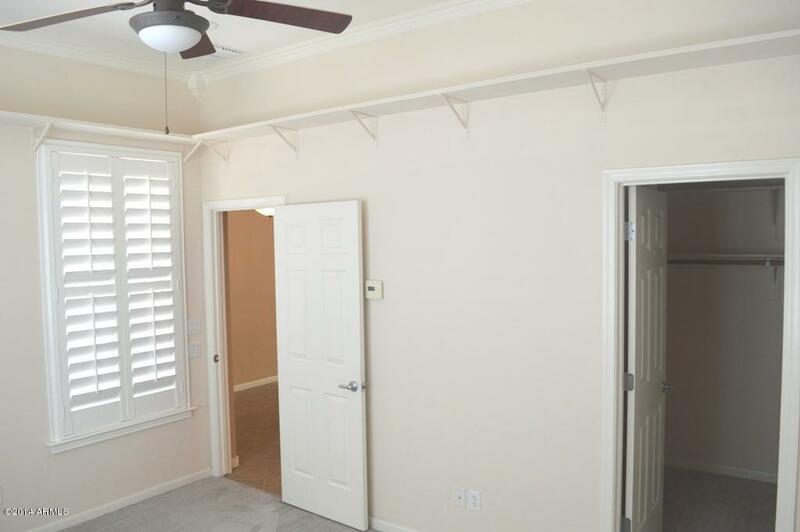 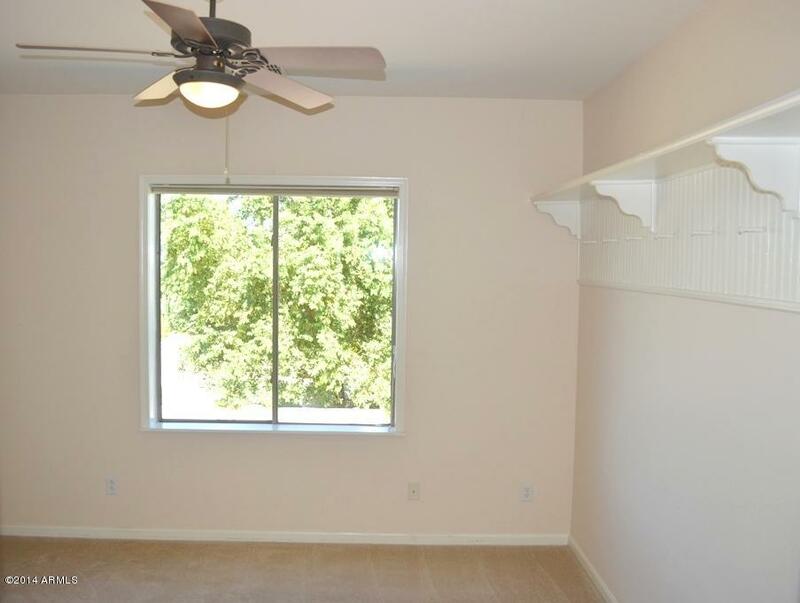 (most with Walk-In Closets) and Master Suite with Sitting Area. 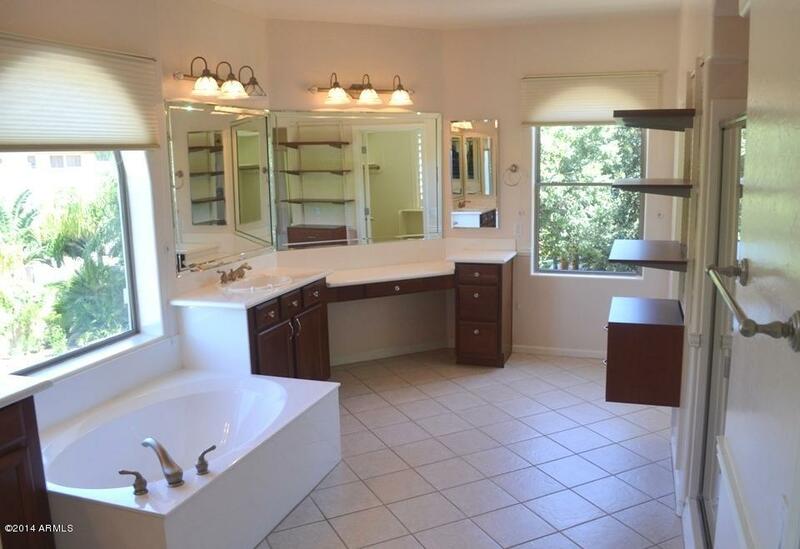 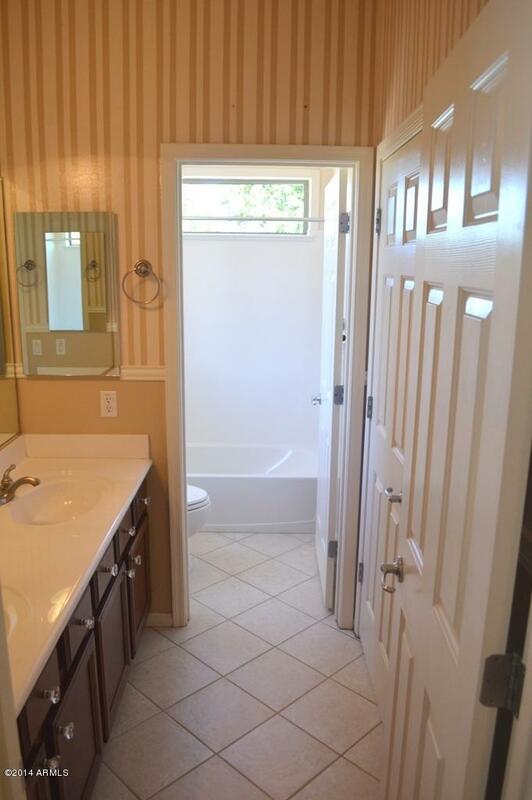 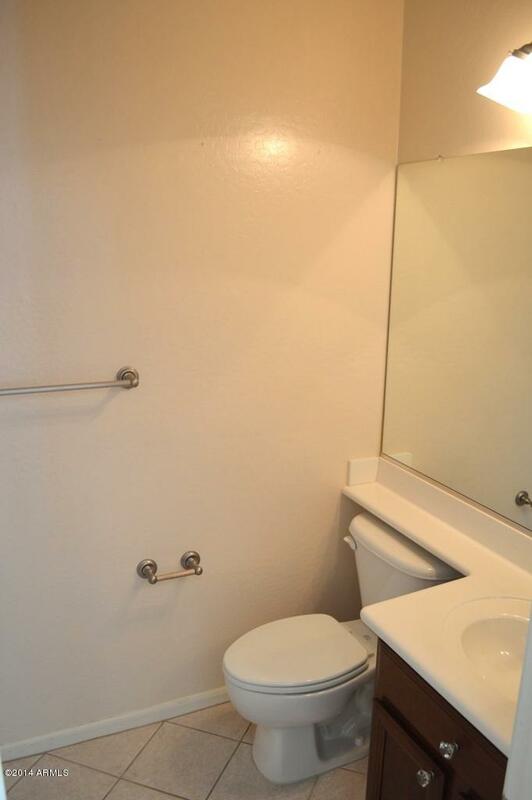 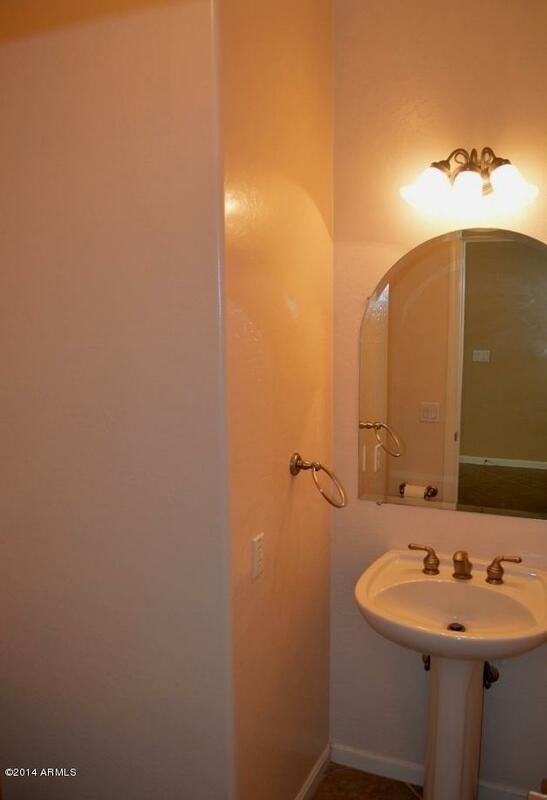 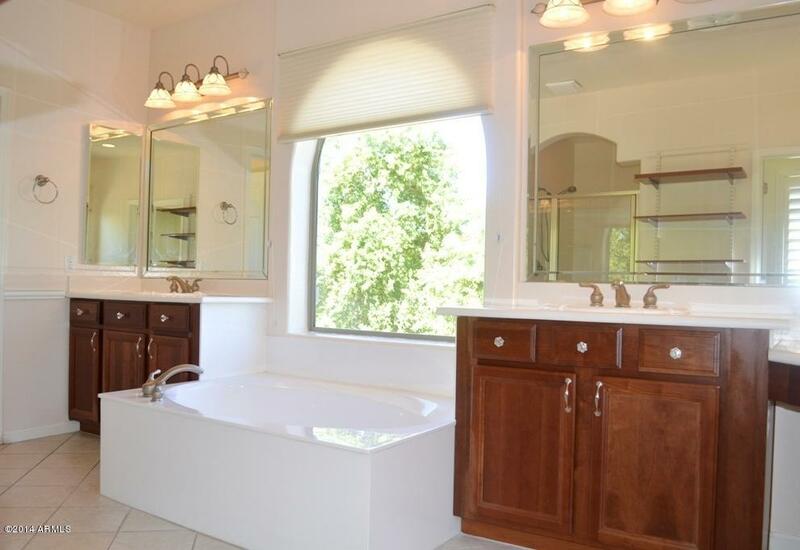 Master Bath features His and Her Vanities and Walk-In Closets, Large Soaking Tub and Separate Shower. 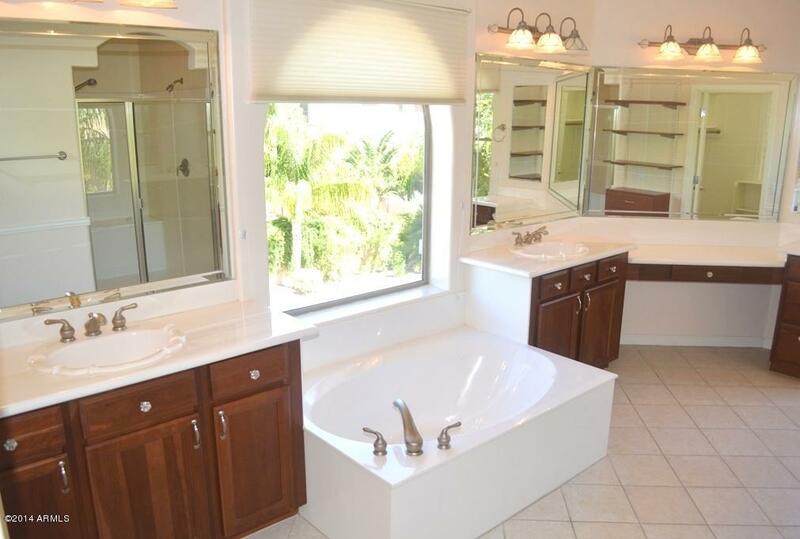 Bedroom 2 has Private Bath and Bedrooms 3 & 4 have Jack-n-Jill Bath. 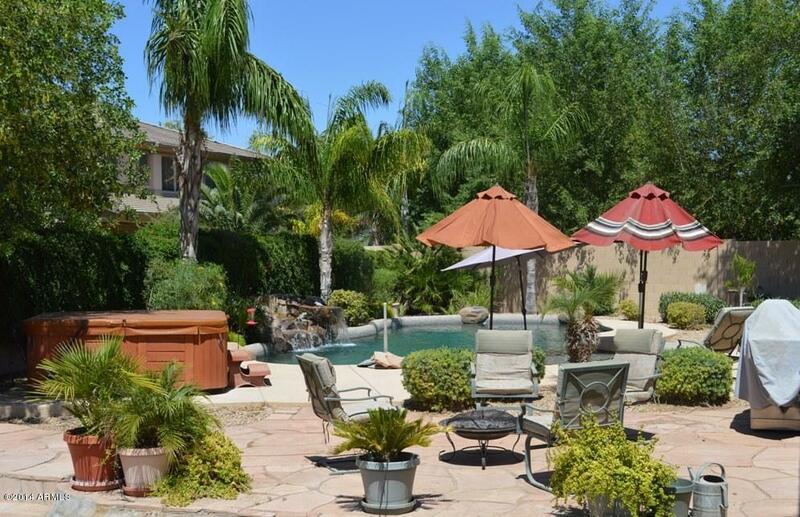 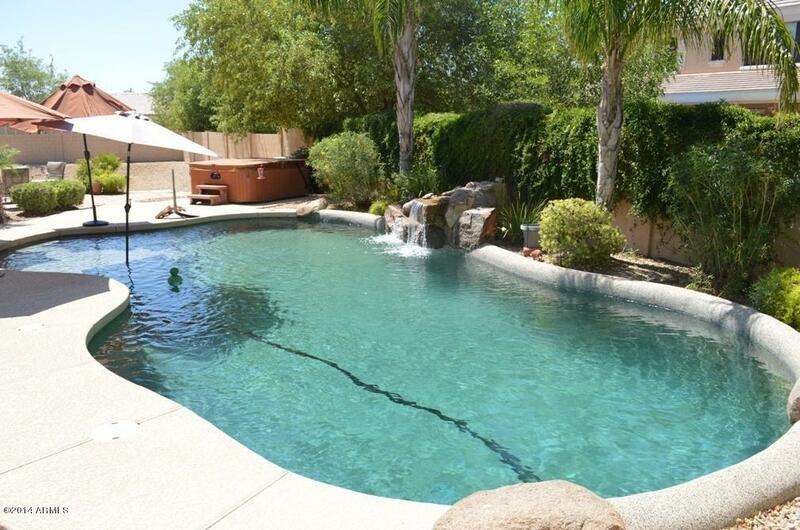 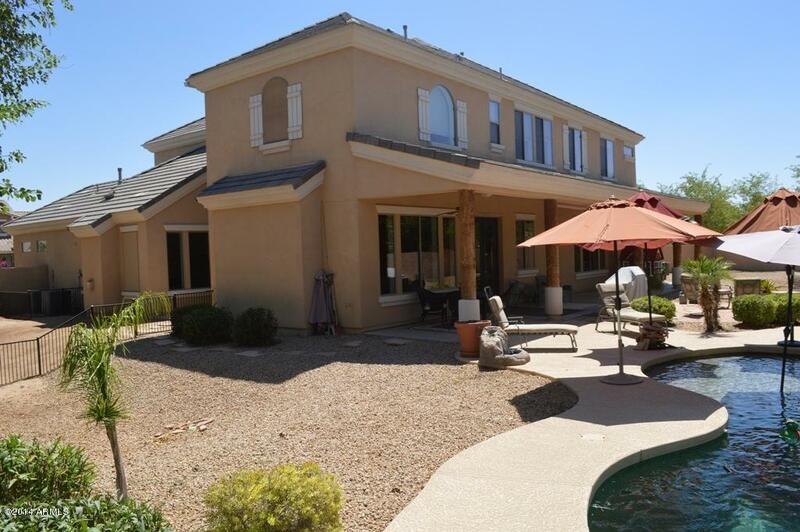 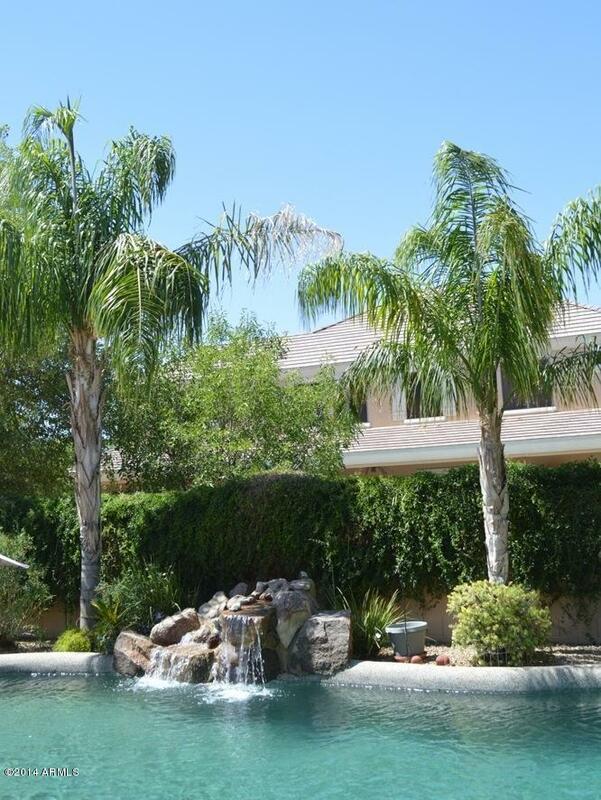 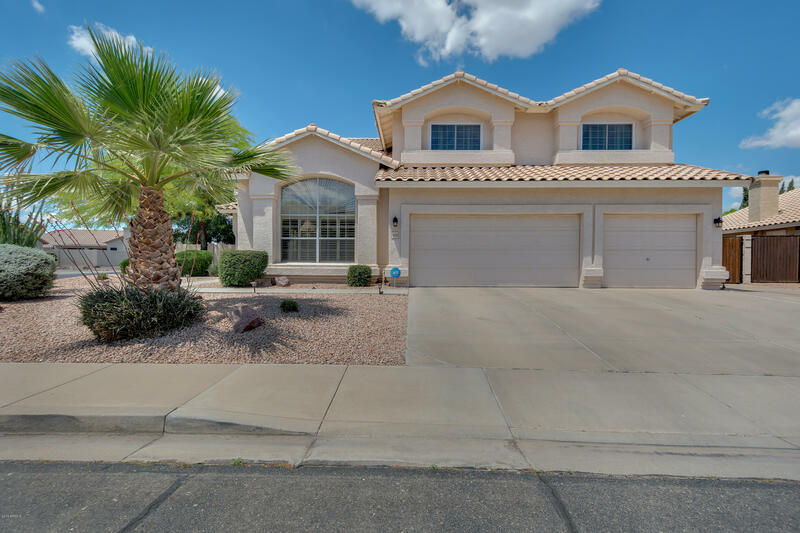 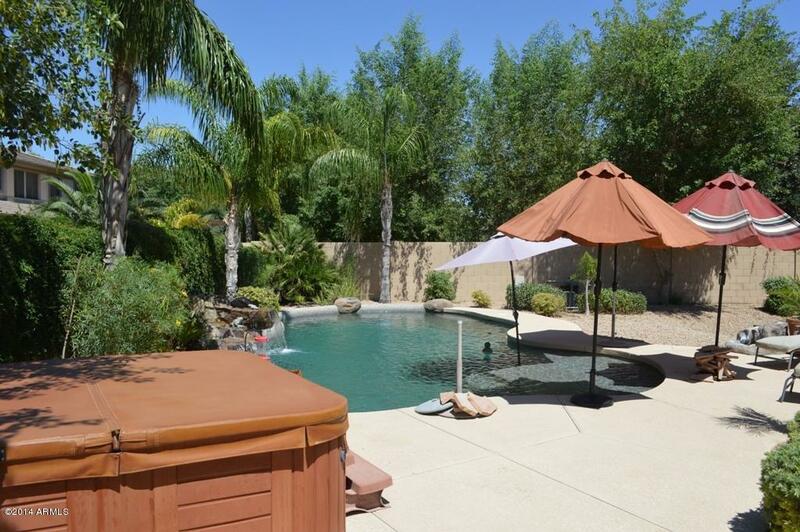 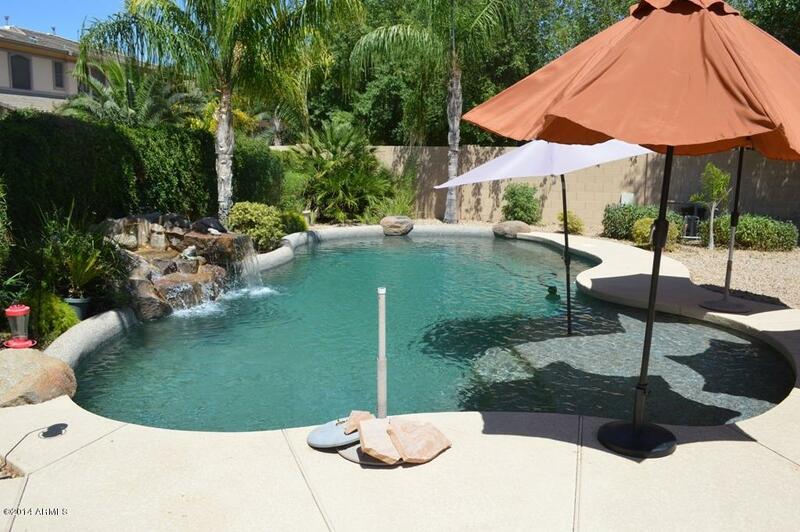 Resort Style Backyard includes Pebble Tech Pool, Mature Landscaping, Above Ground Spa, Extended Covered Patio and plenty of room to Personalize. 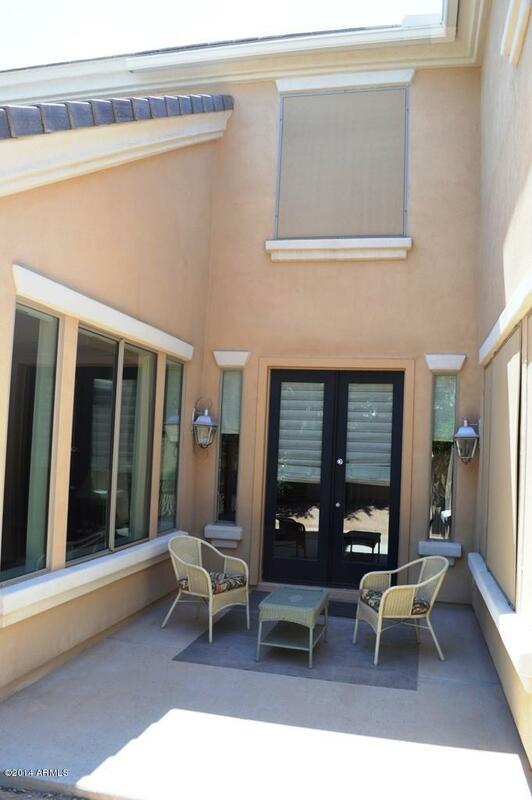 Outdoor Speakers & Ceiling Fans at Covered Patio. 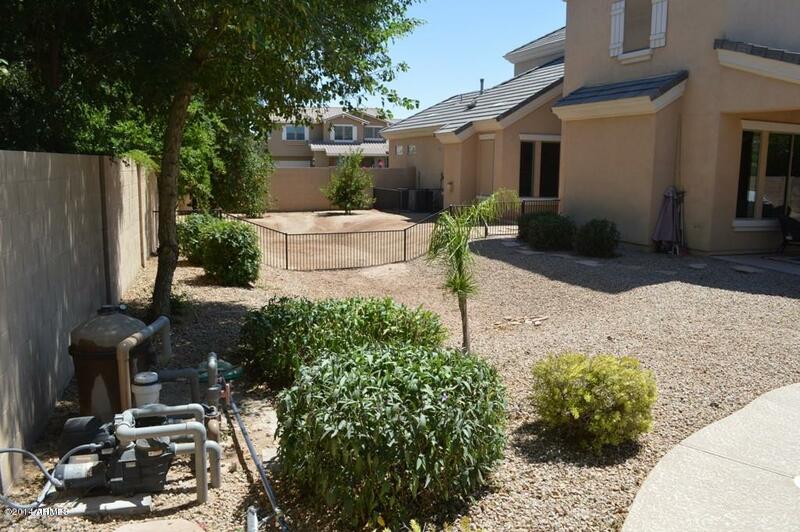 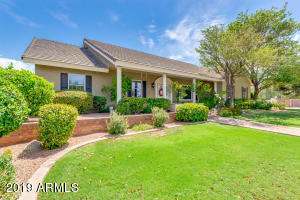 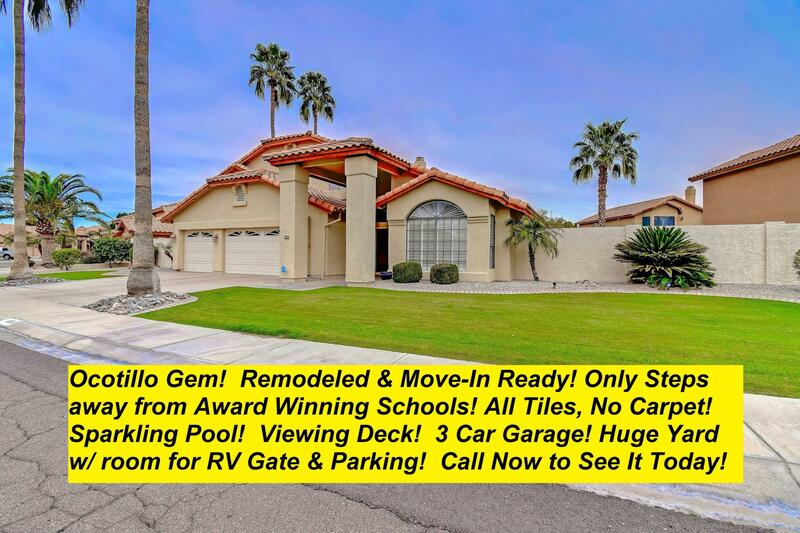 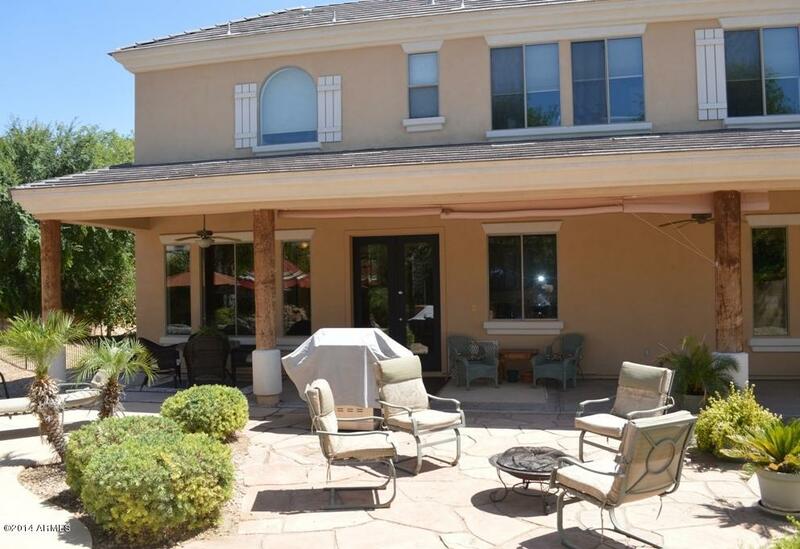 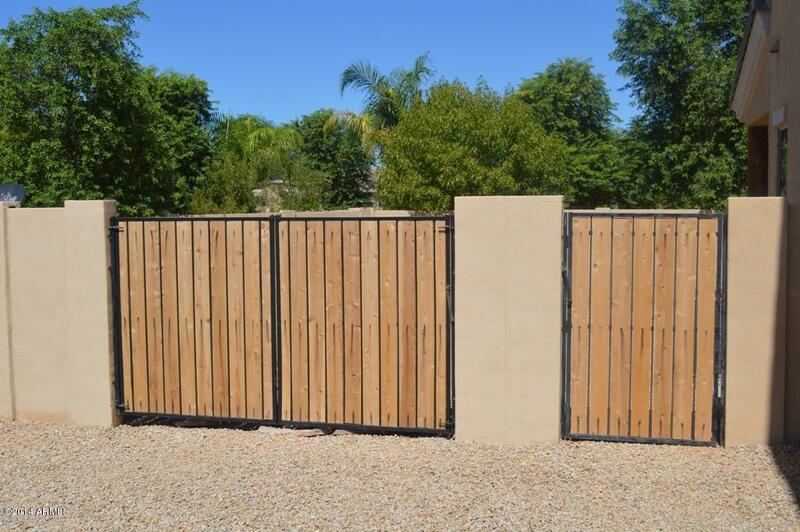 Big Side Yards with RV Gate & Private Courtyard Sitting Area. 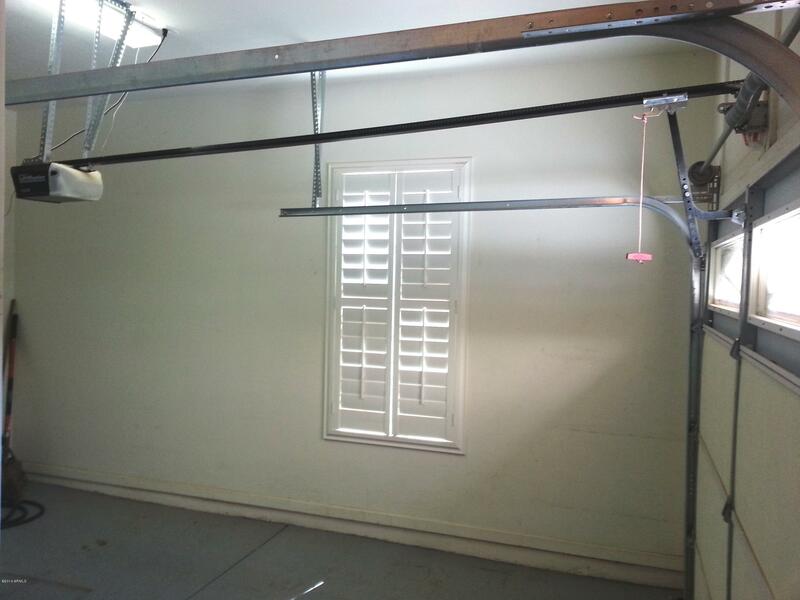 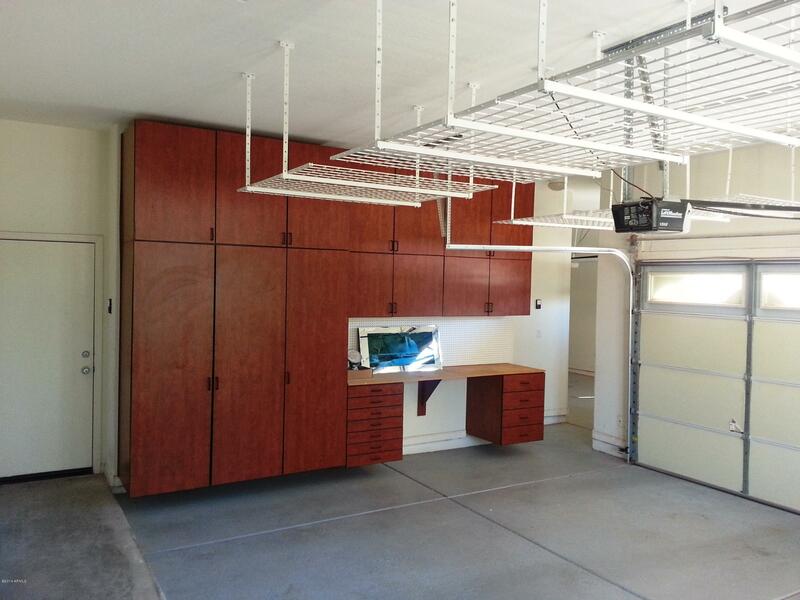 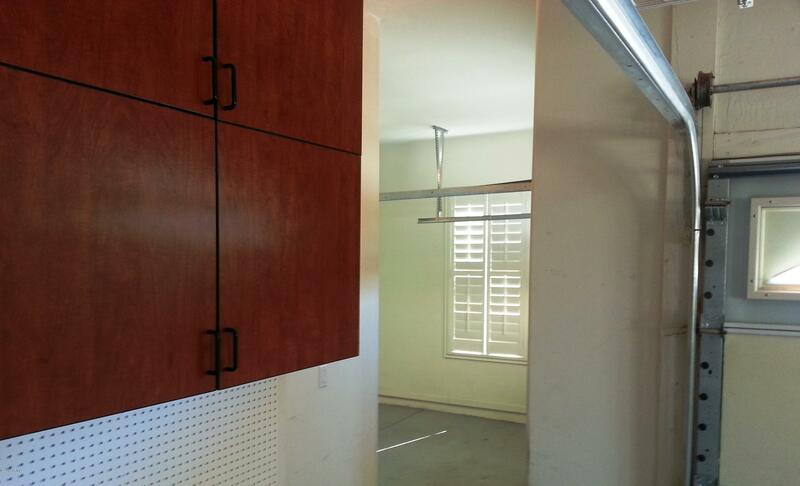 3 Car Garage with Built-in Cabinets, Epoxy Floor and Extra Overhead Storage. 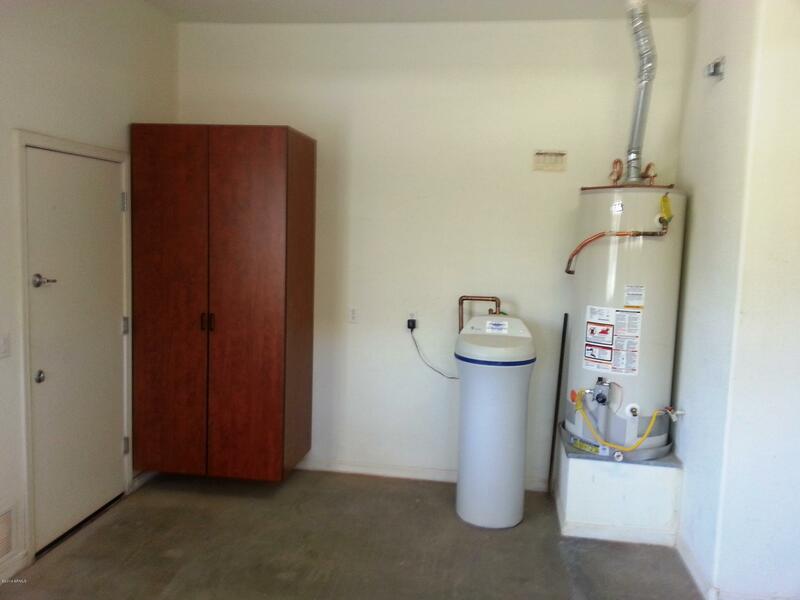 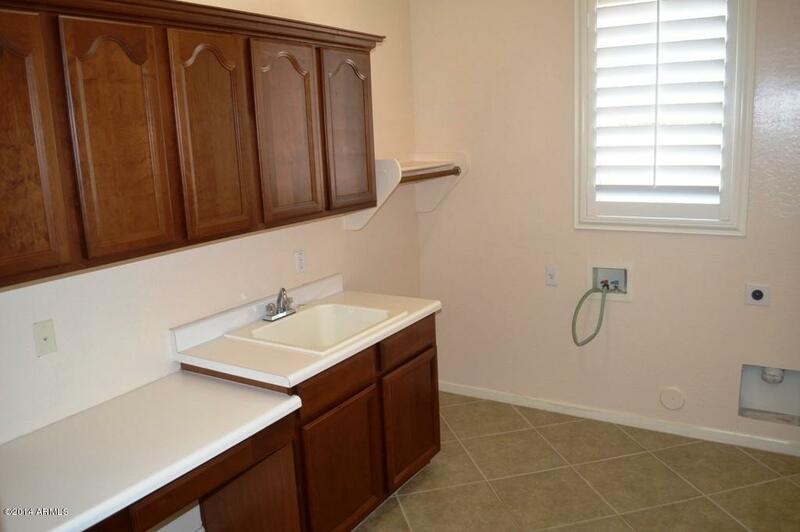 Huge laundry Room with Storage Cabinets and Sink. 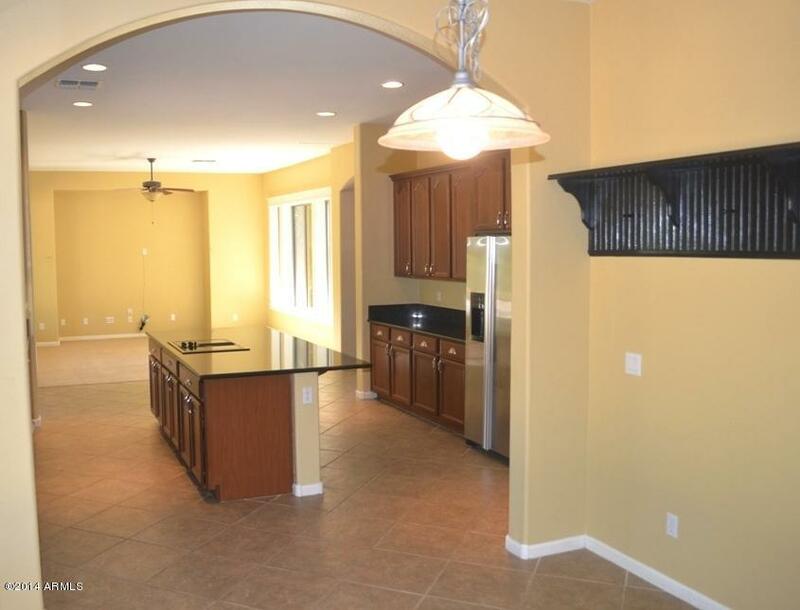 Gas Stub to BBQ. 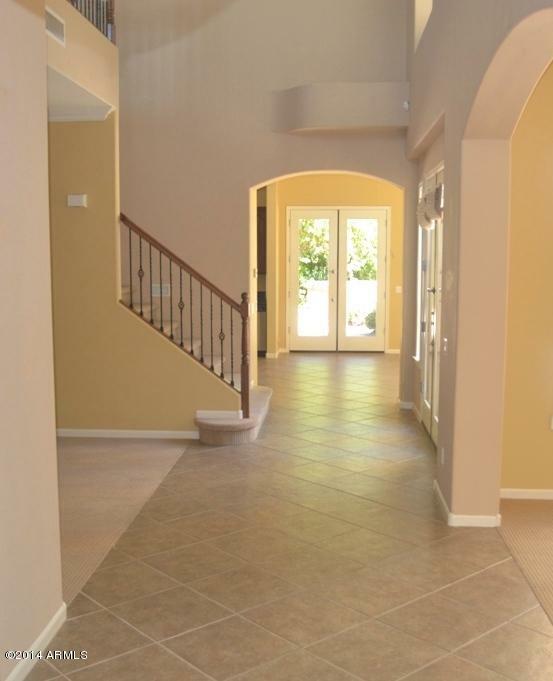 ALL Interior Walls are Insulated, Pre-wire for Security System and much more!